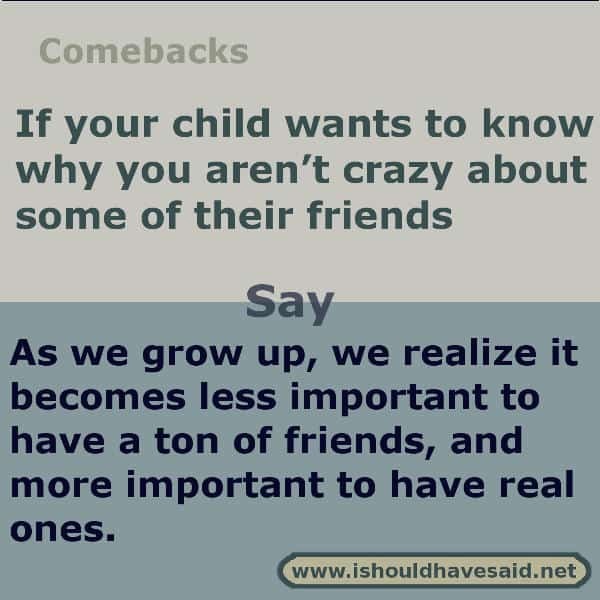 As a parent, you can’t be expected to like every single friend your child has but there will be friends who you like more than others. Kids may not understand why you don’t like certain kids, parents know that their child can head the wrong direction if they get in with a bad crowd. 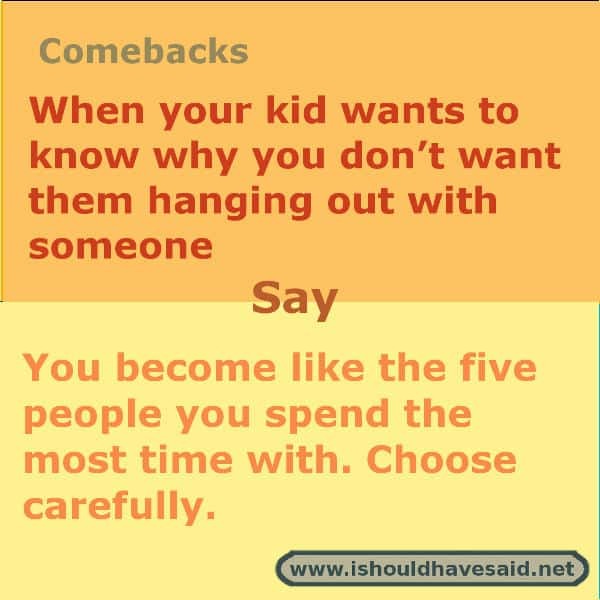 If your child asks why you don’t like some of their friends, use our great responses to explain why. 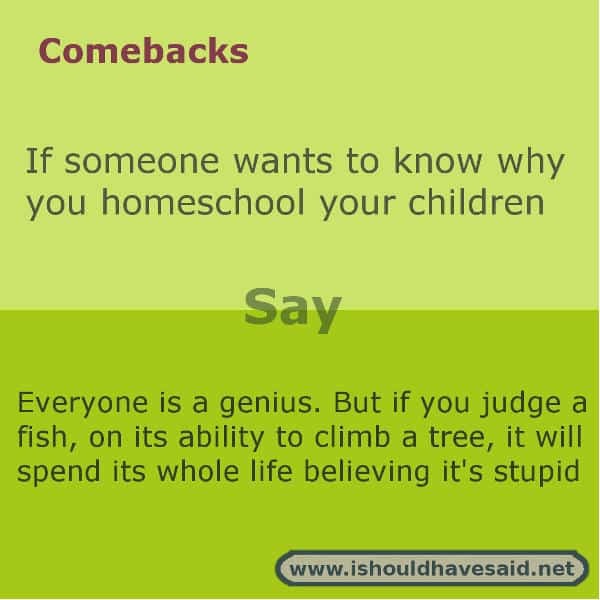 See the most popular comeback to why don’t you like my friend determined by I should have said voters. Leave a comment below and let us know which comeback you like the best. We live in a world of instant gratification and a lot of kids are used to getting everything they want, even worse they expect it. Raising an entitled child is doing a disservice your kid, saying no may not make them happy in the moment but it will benefit them in the long run. 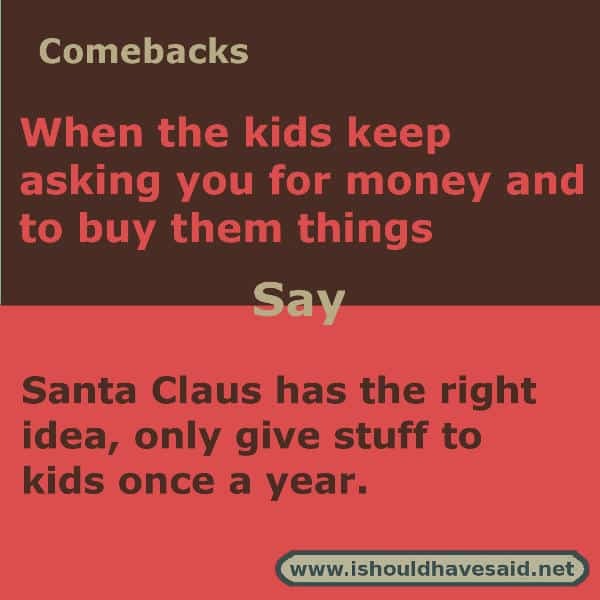 Next time your kid asks you to buy something they don’t really need, use one of our funny comebacks to get your point across. 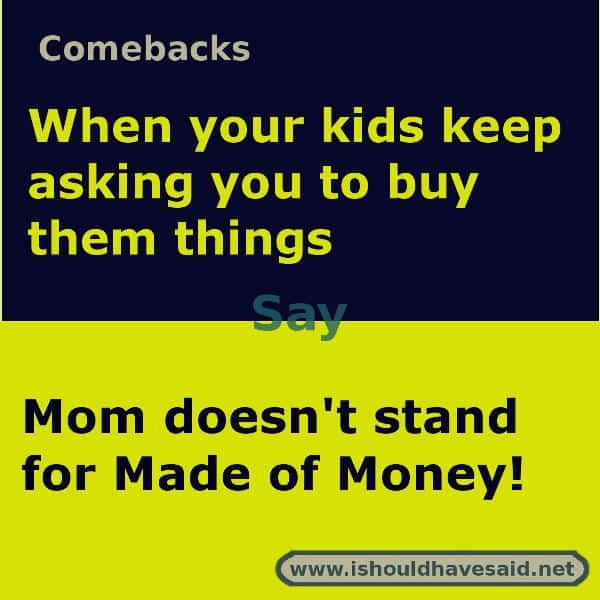 See the most popular comeback when your kid asks you to buy them something determined by I should have said voters. 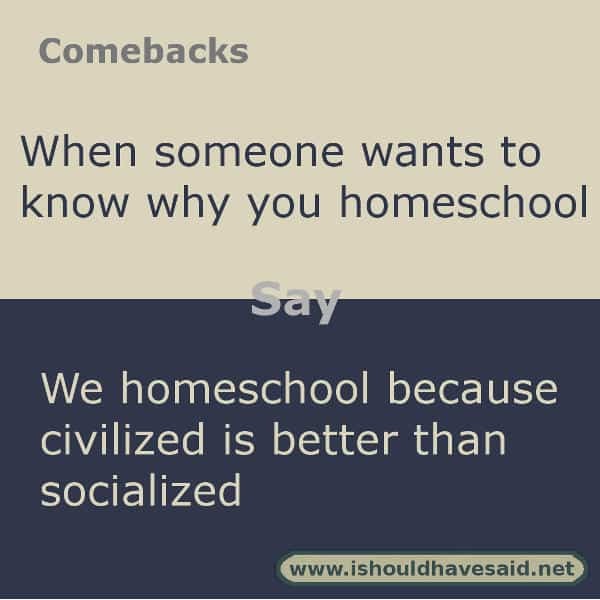 Whenever you tell someone that your children are homeschooled the first thing people ask is, “why?” Education is a very personal choice, this is where people’s values come into play and there are certain ways you want to raise your kids that are non-negotible. Teachers are stretched to their limits and many other students many share your family’s world view. 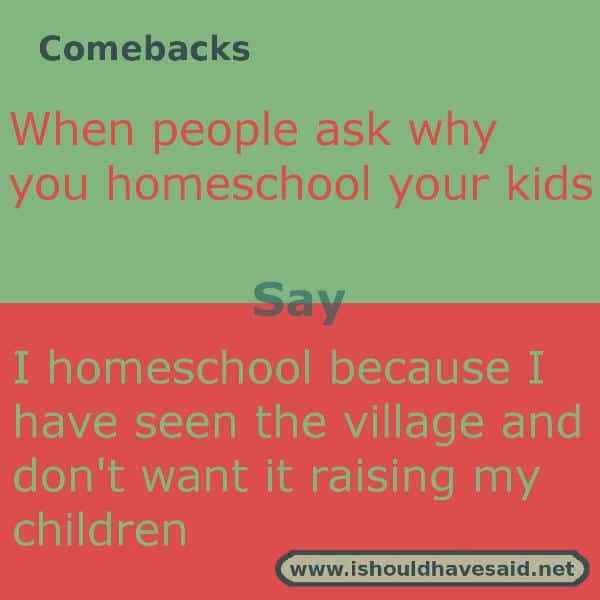 If you want to let people know why you homeschool without going into the nitty-gritty details, use one of our answers below. 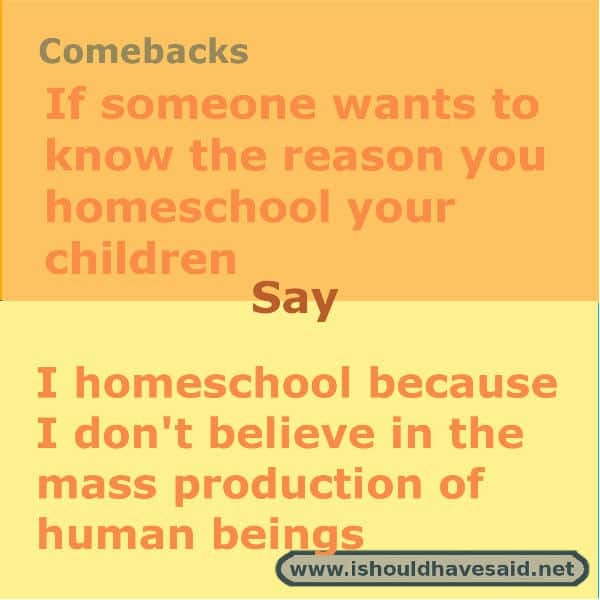 See the most popular comeback to why do you homeschool determined by I should have said voters. Raising children isn’t for the faint of heart, making an 18-year commitment to emotionally support a child is not something that everyone has the strength to do. For some reason, strangers feel comfortable making particularly outrageous comments to moms about their kids and parenting skills. It seems like no mother is immune from these intruders, who offer up their unwanted parenting advice to their unsuspecting victims. 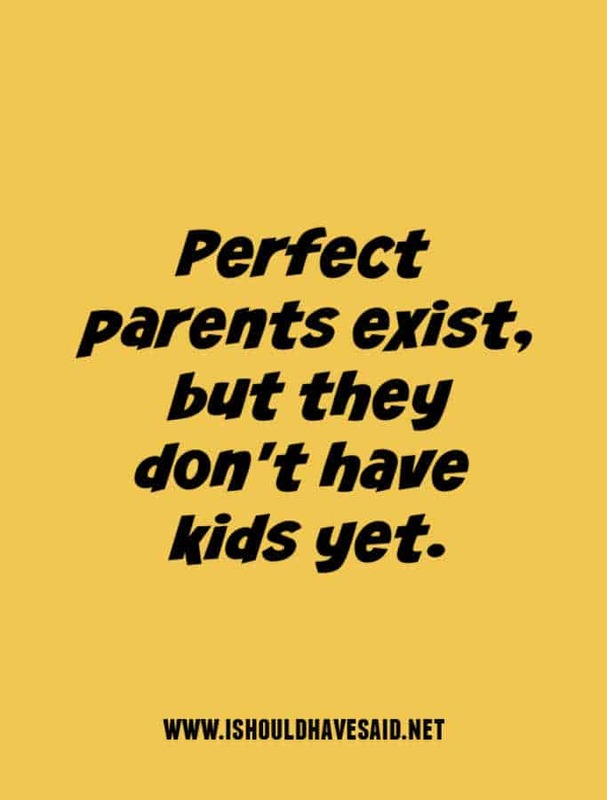 When you become a parent you don’t have a say in who you will parent, you have no idea who you will be moving in with for the next 18 years. Your child might go through a stage of throwing wild tantrums or be a model child. I have a friend who has two kids, when one of her girls was younger she used to have wild tantrums, up to twenty a day. People who didn’t have difficult children acted as if they were almost morally superior to my friend. As a parent of a difficult child, you can feel the judgment of others and you may even feel ostracized by other moms. Some folks think you need to discipline your child more when you might be dealing with things like autism or other medical conditions. 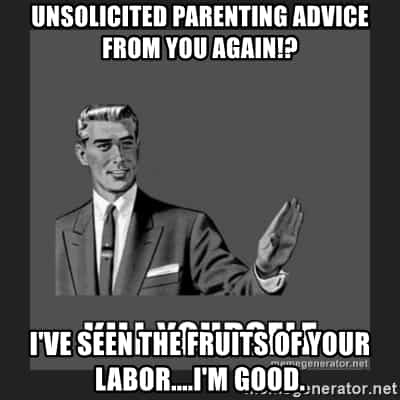 If you have had enough next time someone gives you unsolicited parenting advice, here are a few snappy comebacks that you can use. Thanks for the unsolicited advice about how to raise my teen. Call me when you actually have one. 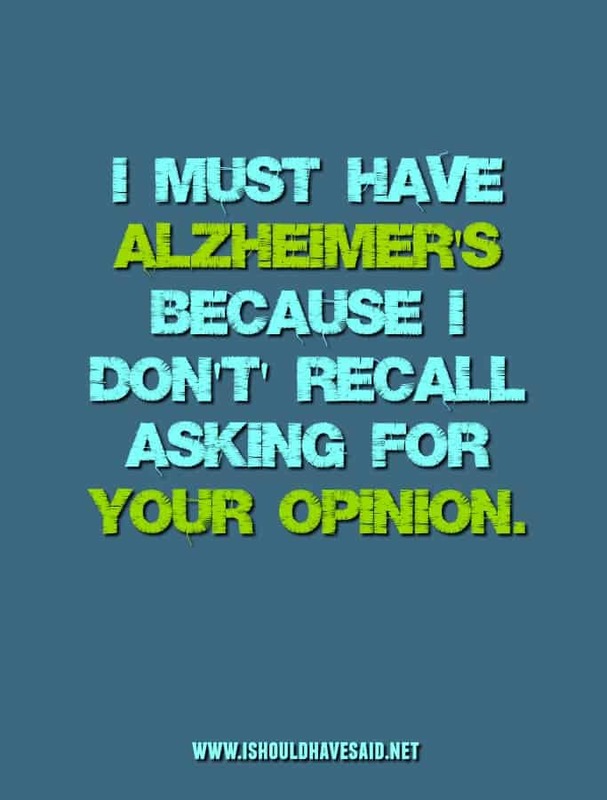 Next time I need an unsolicited and uninformed opinion I will know where to go. 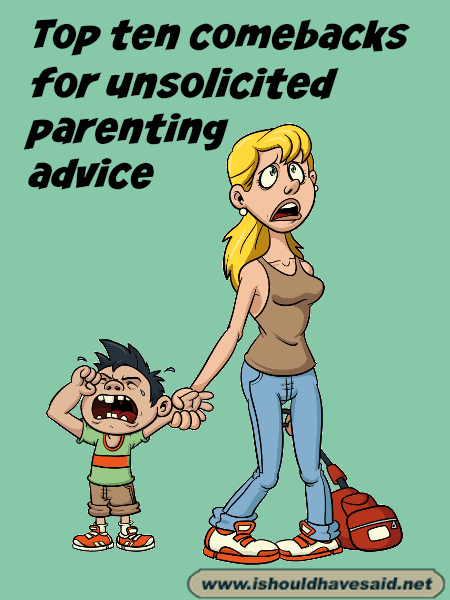 I love unsolicited parenting advice, especially when it comes from someone who doesn’t have children! Unless your name is Google stop acting like you know everything. Unsolicited advice is like somebody singing out of tune. Nobody wants to hear it. I don’t base my decisions on advice from people who don’t have to deal with the results. Just because you raised a kid doesn’t mean you should be giving parenting advice…. I didn’t realize you were an expert on my life and how I should live it! Continue while I take notes. If your kids didn’t eat bugs, or grunt himself into oblivion, I would probably take your parenting advice more seriously. When did you get a PHD in parenting? 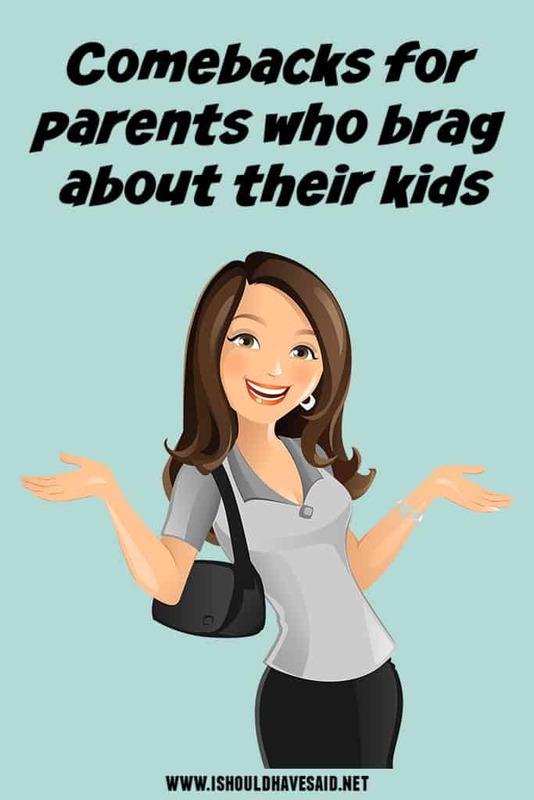 We’ve all met them, the annoying hyper-competitive parent who just can’t stop bragging about their kid’s accomplishments. They’re the parent who is constantly trying to one up you, when you mention your child’s reading has improved they let you know their kid started reading in the womb. 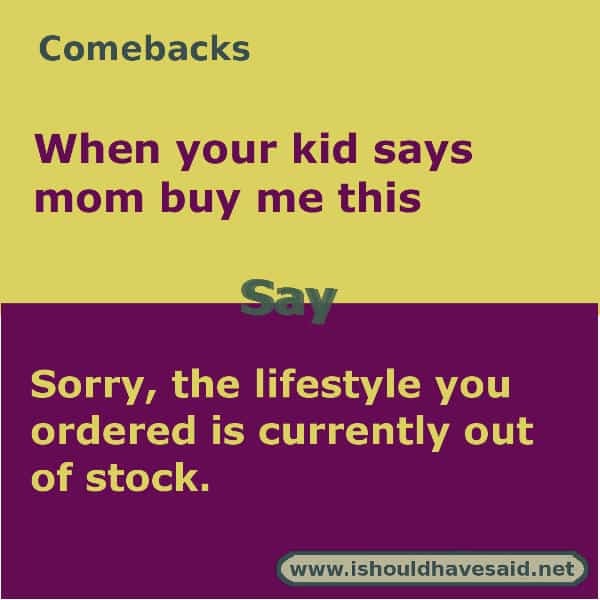 Here are a few fun comebacks that you can use on the one-upper. 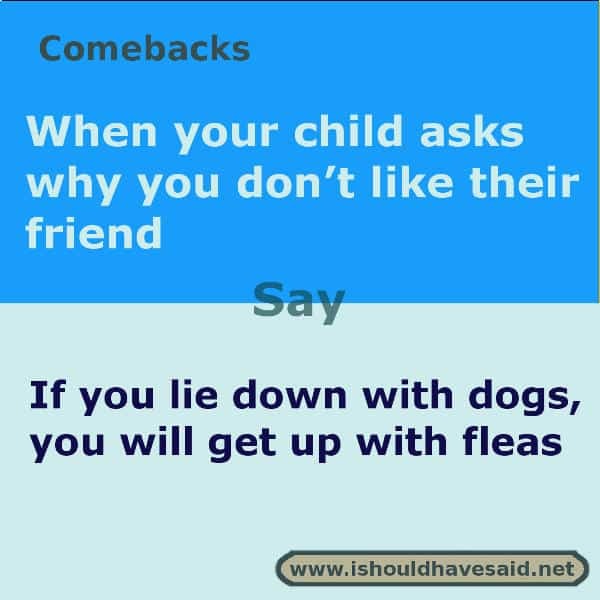 A few of these comebacks are probably a little too rude to say, but it is fun to imagine the shock on their face if you used them. It's hard to believe you're related! Motherhood is not a competition. What next a job offer from Microsoft? He / she is so fabulous he probably farts glitter. 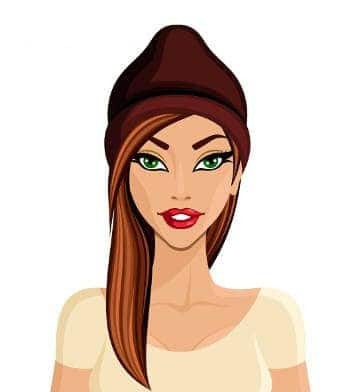 Funny answers when people ask if you’re a single mom?